Batavia, Ohio – Plastics processors and media will gain valuable insights at Milacron’s 2013 Open House on the technology and business issues facing the plastics manufacturing industry. 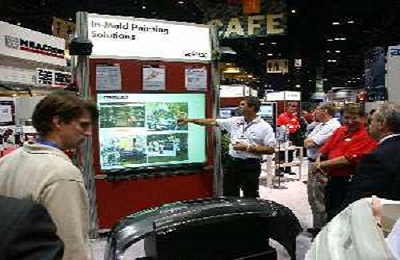 Technical speakers from Milacron as well as partners such as Bemis Manufacturing Company and Mold-Masters will share their expertise in presentations on April 24 and 25. In addition to the presentations, Milacron invites attendees to tour their facility and explore some of the world’s best technologies as well as America’s best support, including optimizing equipment performance through proactive aftermarket services. “The goal of our event is to not only discuss issues, but to present practical solutions through open dialogue and collaboration,” said Dean Roberts, President of Milacron Aftermarket. “We’re determined to work together and help our manufacturing customers be more productive, efficient and competitive.”The 2013 open house is set for 9 a.m. to 4 p.m. April 24 and 25 at Milacron’s facilities in Batavia. Milacron LLC is committed to being the leading plastics processing solutions provider with world-class capabilities across all of its businesses: Milacron (Plastics Machinery), DME (Mold Technologies), Aftermarket (Parts and Service) and CIMCOOL® Fluid Technology (Metalworking Fluids and Services). Through its businesses, Milacron offers a broad portfolio of exceptional products and services, providing solutions for customers’ complex plastics needs. The people of Milacron’s companies know what matters in manufacturing, and every day, put this knowhow to work to help customers improve productivity, cut costs, increase energy efficiency, eliminate scrap and reduce cycle times. For more information, visit www.milacron.com.